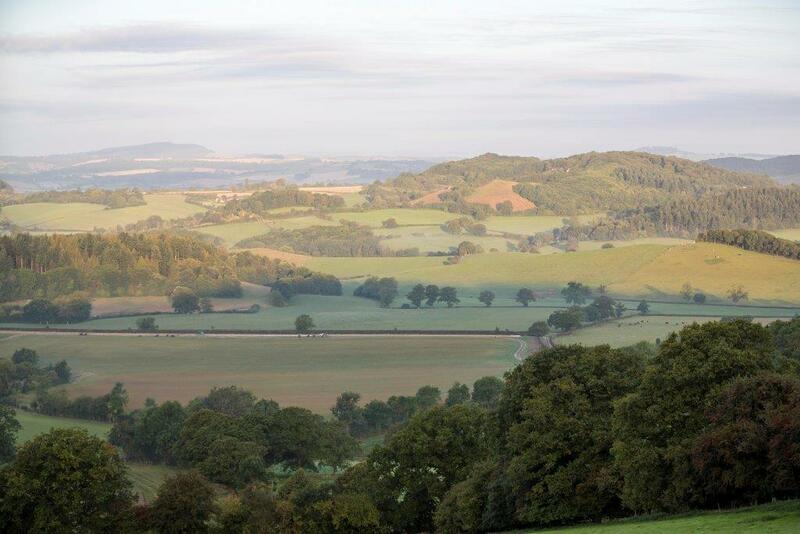 A state of the art training establishment set in rural Herefordshire. "Tom is the consummate, old school horseman. He lives and breathes his horses. And a quick look round his training facilities shows that no expense has been spared making sure his horses have the best possible opportunity of achieving their full potential. I have never met a more dedicated individual." "I have known Tom for over twenty five years, initially during his time riding in Point-to-Points and schooling young horses in the hunting field. 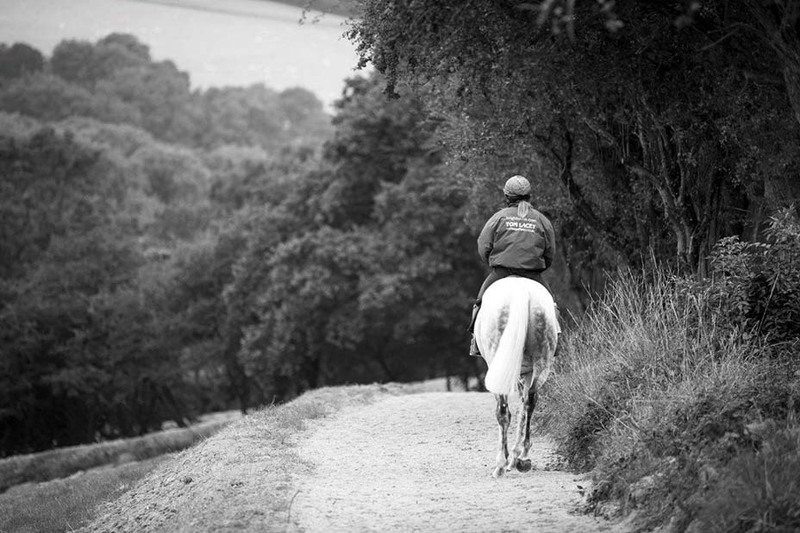 Tom is a natural horseman, quiet, patient, and with very good hands - a rarity in this modern age. It is these attributes which lend him to breaking-in young horses and working with horses which have acquired awkward traits whilst in training. Unfortunately people like Tom are few and far between. The breaking-in process can be stressful to a young horse, and no better place can be found than the quiet, relaxed and peaceful situation at Cottage Field Stables." "I asked Tom to help and guide me with my mare who had lost confidence with her jumping. Cloudy Spirit soon became Tom’s first winner under rules, leaving her problems behind her. 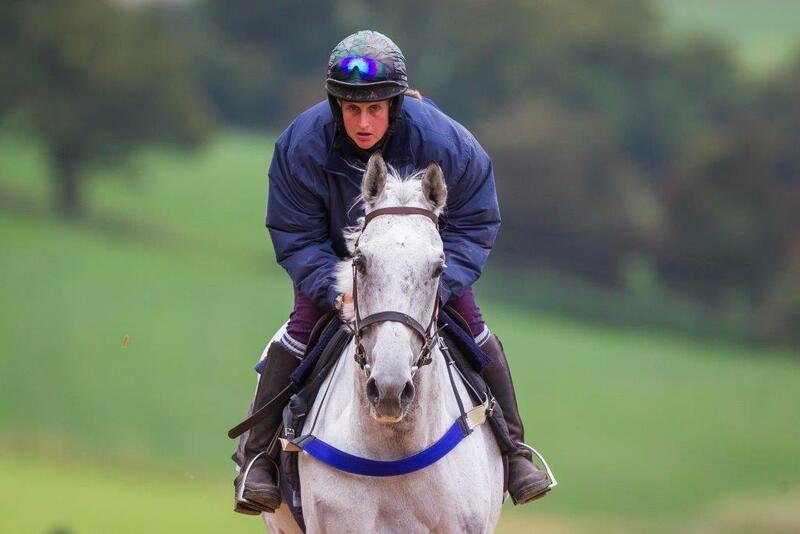 Tom is great fun to go racing with and we have a genuine feeling that training with Tom is great value for money and of the highest quality." "Tom's very focused and dedicated approach to the well-being and training of the horses individually in his care is very impressive. The new yard and facilities have been thoughtfully and strategically laid out and with Tom living onsite he is always available to check the horses himself throughout the day and night. Tom is an excellent communicator and always has time for his owners." Tom served his apprenticeship breaking-in and schooling young horses under the legendary Captain Charles Radclyffe. He worked as a pupil assistant trainer in two prominent National Hunt stables, and rode successfully in Point-to-Points, having twenty-seven winners. Improved muscle tone from an exclusive diet of top quality feeds and concentrated exercise. Guaranteed elimination of the horses' tendency to be on their forehand by patient long-reining and schooling. Cottage Field Stables has top of the range facilities, including 42 internal stables split between 3 barns, a 4 furlong woodchip gallop, 2 furlong circular sand gallop, 2 furlong all weather schooling ground, 40 x 20 ménage, lunge pen, rubber clad covered 6 horse walker with matted floor, Vitafloor vibrating floor system, 75 metre spring feed water splash, 100 acres of paddocks and a Loose School. All of which combine to provide the facilities required to prepare a horse from the paddock to the winner's enclosure. The Loose School is a replica of that of Captain Charles Radclyffe's the doyen of Loose Schooling where Tom spent the first 2 years of his working life. At Cottage Field Stables your horse will be treated professionally. Each horse will be given the individual attention best suited to their temperament and physical ability. The yard has excellent support: Tom Campbell and Jeremy Swan of Bourton Vale Equine Clinic carry out our veterinary work, Emma Padfield is our Physiotherapist and Anthony Tory and Tom Siddal take care of dentistry.